Card processing has become more competitive and streamlined than ever meaning that you can accept online credit card payments online without a merchant account. But you need to make sure you select the right provider for this purpose, as well as your business needs. Here are 5 credit card payment processing options that you can use to avoid the need to set up a merchant account. Traditional credit card payment processing was time consuming to set up, with banks treating the facility like a form of high risk credit. This meant the business as well as in certain cases the business owners needing to pass credit and KYC (know your customer) checks. Under traditional credit card payment processing a business needed to open its own payment gateway (which processes the credit cards) as well as a merchant account. A merchant account is a special type of bank account which collects money from the payment gateway, holds it for a few days and then transfers that money to the business current account as cleared funds for spending. Each step in the chain was subject to its own set of PCI compliance, checks and charges. This meant businesses dealing with several different organisations once they decided to accept credit card payments online. Card Processing has evolved and new companies have entered the market offering an end to end solution. It means you can now accept credit card payments online without needing to open up a merchant account. The card payment process still works the same but new card processing companies now act as your payment gateway and merchant account so the transaction is seamless. In real terms, this means that once your customer pays the funds are deposited into your business bank account, instead of going via a merchant account. You’ll need to choose a provider best suited to your needs. But this will depend on why you want to accept credit card payments. Accept credit card payments face to face. Here are 5 UK providers who currently allow you to accept credit card payments online without a merchant account. Square is a US based company who have now entered into the UK market, with a lot of success. They offer a wide range of ways to accept credit card payments without a merchant account, making it quite appealing to small but growing businesses. With a range of marketplace apps, it means Square could be a single solution to taking payments online, in-store and on the move. Cost: The card reader starts at £29 plus VAT which each card transaction costing you 1.75% and virtual terminal/invoices payments/ecommerce costing 2.5%. There are no other monthly charges. A solution with which you can start small but that can grow with your business. Stripe does not offer a mobile payments reader but it is a payment solution if you are searching for a way to accept credit card payment without a merchant account on your website. 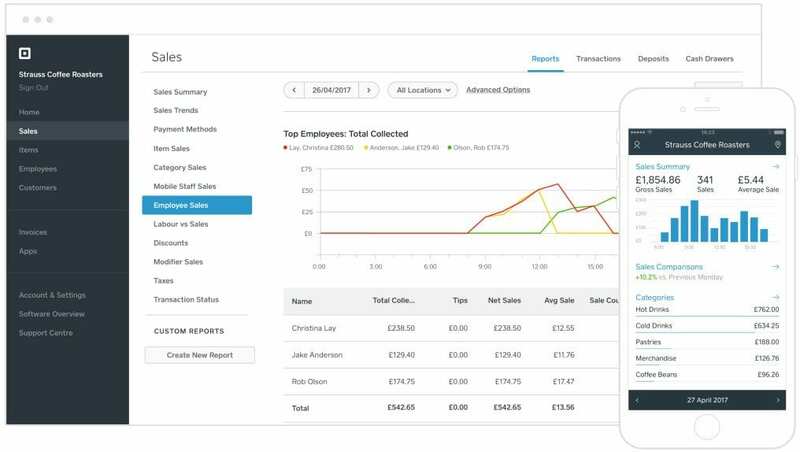 Integration with Xero invoicing, where invoices are automatically marked as paid on the sales ledger (Xero comes with an additional monthly cost). SumUp is a mobile payment processing provider, with added options to set up a physical terminal. It does not offer the same app marketplace as Square or the ability to connect your online store but it is still an extremely good option for micro businesses looking to accept credit card payments without a merchant account on the go. The entry cost is low and with a competitive flat fee charge per transaction, it is a very popular option in the UK. 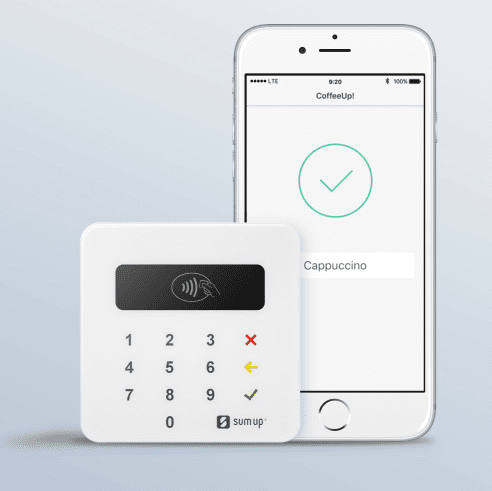 Who’s It For: SumUp offers a card reader which you can use on the go that connect by bluetooth with your mobile phone and tablet. Cost: The SumUp card reader has been reduced to £19 plus VAT and every transaction you put through costs you a flat fee of 1.69%. You can accept contactless, chip and pin as well as android/apply pay via the reader. A simple cost effective solution that gets you up and running quickly, without any contracts. 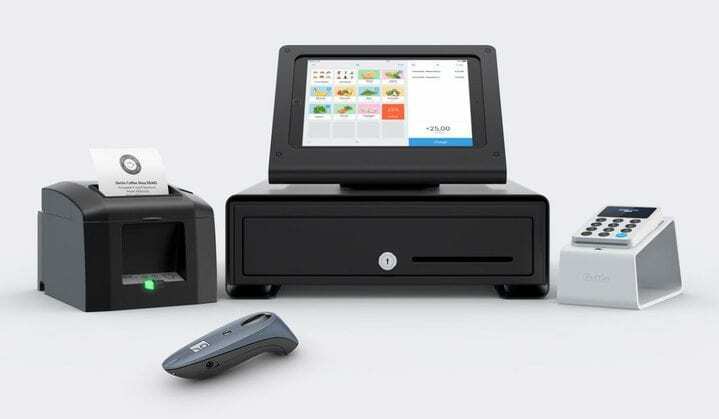 iZettle, similar to SumUp and Square is a credit card payment processing provider, offers mobile payments, a point of sales terminal solution and more recently its own e-commerce platform. Its certainly evolving. iZettle was probably one of the very first companies to offer the service of accepting credit card payments without a merchant account. Who’s It For: iZettle offers a card reader solution, perfect if you just want to accept mobile payments. But it also gives point of sale functionality, printed receipts and easy invoicing on the go. Cost: The izettle card reader starts at £29 plus VAT where card transactions will cost you 1.75% and virtual terminal/invoices payments costing 2.5%. There are no other monthly charges. However if you do want to sell in store and online you will need to pay an additional monthly subscription of £29 plus VAT, so you may need to consider this depending on your business plans. Integration with Xero to help with your bookkeeping & accounting. Paypal is known worldwide and offers a full online payment solution for your website, mobile payments and invoicing needs. Cost: The paypal card reader is the dearest of all at £45 plus VAT. It pricing for transactions then works on a tiered basis which is different for web, invoice and mobile. Funds Transferred: Fund are immediately available in your Paypal account ready for you to transfer to your business account.